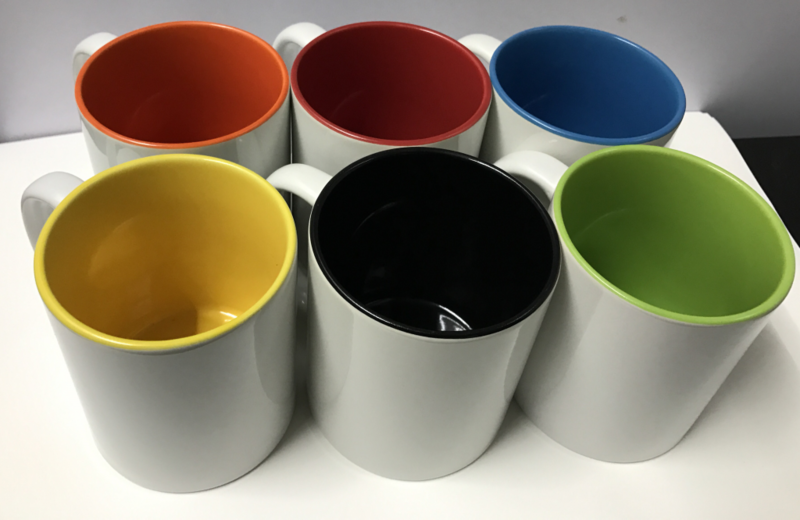 If you are bored of the normal white mugs, why not try our inner colour mugs! With 6 different colours for you to choose, you will be spoilt for choice! Height: 9.5cm and diameter 8.2cm.